Show of hands: who admits to being a casual guilty snacker? Hey, we’ll be the first to admit sometimes cost, convenience or our current state of emotions see us reaching for the ‘easy’ option, which isn’t always the best. 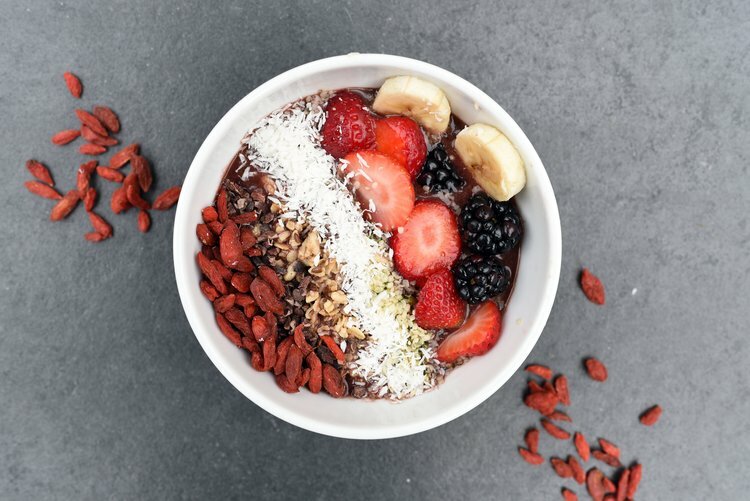 Living Wizely is all about making the best option the easiest and so, with that in mind, we’ve got a few easy dos and don’ts that will see your bad snacking habits take a turn away from the dark side. ‍You just can’t go wrong with nuts when it comes to healthy snacks. Which nuts? Any nuts! They’re packed with healthy fats to keep your cholesterol in check and omega-3s for brain power, not to mention protein and even B-group vitamins. Stick to the unsalted kind, or go wild with a natural nut butter smeared on apple slices. Even the supermarkets stock healthy alternatives to your traditional, high-sodium peanut butter these days, including LSA (linseed, sunflower and almond) blends – a mighty blend that has benefits ranging from detoxing the liver to boosting your hair, skin and nail health. The reasons we snack can be just as important as what we actually chow down on. Emotional eating and weight gain can often go hand-in-hand. Whether it’s work stress or personal drama, snacking can often become an easy distraction from our problems. Next time you find yourself a little frazzled craving a bite between meals, take a moment to practice some mindful eating and ask whether your snack is serving to satisfy a deeper feeling than just hunger. A big problem most snackers face is the challenge of finding something that leaves them feeling full. Our tip? Reach for low calorie snacks that have high levels of fibre, like your classic whole-wheat crackers with some kind of nut butter or hummus, popcorn (nix the butter and minimal salt, of course), and even cereals. The whole-grain goodness of oats make them a hearty choice, especially in cooler ‘porridge-appropriate’ months, but we’ll always be Weetbix kids at heart. Speaking of cereal, don’t discount the power of calcium; plain greek yoghurt is a rich source of probiotics, great for your digestion and immune system, while cottage cheese and milk are awesome options for the lactose-tolerant. It’s easy to get caught up in the whole ‘sugar is the enemy’ debate these days, but it’s important to know WHICH sugar we’re actually talking about. Giving up refined sugar – the kind found in lollies, soft drinks and most of our packaged or processed food – will do amazing things for your health from the day you make the change. It’s also not easy; this stuff is seriously addictive. What you don’t want to forgo, however, are natural sugars, like those found in fruit. Getting your two-and-five a day is still one of the simplest ways to maintain a healthy and balanced diet, and your stock-standard fruit like bananas, apples, oranges and pears are hard to beat, chock-full of vitamins and minerals. Berries and grapes are also a great source of antioxidants, as is dark chocolate (we’re talking the 70%+ stuff here). It’s even been known to give your metabolism a boost and reduce your risk of heart disease. Chocolate – is there anything it can’t do?